Flip a coin. If tails, The Defending Pokemon Loses their next turn! Flip a coin. 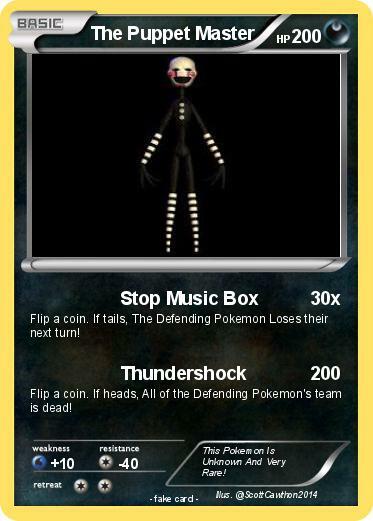 If heads, All of the Defending Pokemon's team is dead! Comments : This Pokemon Is Unknown And Very Rare!